Kevin was born in Childers (Queensland) on the 15th June 1934. He moved to Eastern Dorrigo (New South Wales) at a young age and began working in the timber industry at the age of 14. He began competing and was a consistent chopper at local carnivals from the age of 18. Kevin’s major wins started in 1958 when he was 24 with his first world championship at the Coffs Harbour Carnival – the 16 inch underhand in the time of 1 minute and 20 seconds. He also held the Hunter River Championship. In 1959 Kevin achieved a World Championship double at the Doffs Harbour Carnival. He took out the 14 inch World Championship Standing Block in a time of 55 seconds and retained his 16 inch Underhand World Championship with a time of 70 seconds. During 1960, along with Jim Lavis, Kevin represented Australia in a tour of New Zealand. He met with outstanding success on this tour. 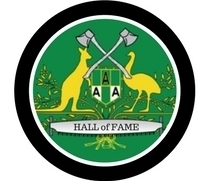 Kevin was invited to take part in an exhibition chop with 11 other world class axemen at Lane Cove National Park when Qantas entertained delegates of airlines from 42 nations. 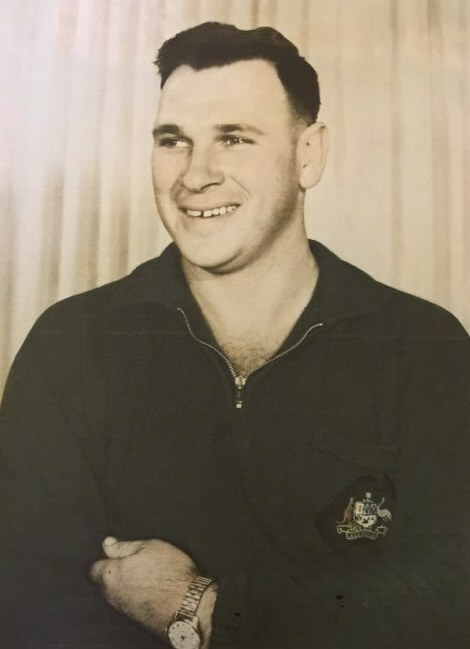 In 1961 Kevin achieved his “greatest win” at the Royal Easter Show in Sydney taking out the 15 inch underhand World Championship in a time of 39 seconds against the top axemen from Australia and New Zealand. He also represented Australia in the inter-dominion woodchopping championship. Kevin has achieved 3 World Titles and numerous wins in major woodchopping contests throughout New South Wales, Queensland and New Zealand. Kevin was forced into retirement from woodchopping due to a back injury when he was in his early 30s.